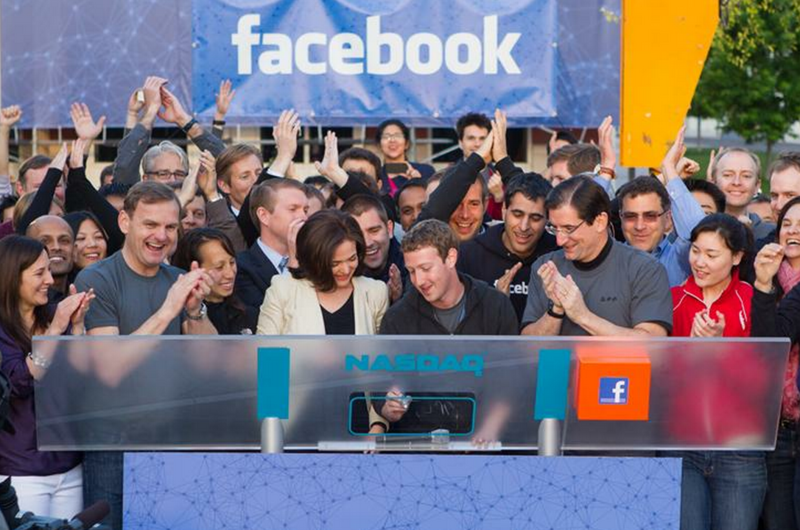 Facebook’s CEO Mark Zuckerberg received a commemorative hoodie from the NASDAQ CEO Bob Greifeld and thanked his site’s users in opening remarks recorded before he rang the NASDAQ opening bell this morning. “I just want to say a few things, and then we’ll ring this bell and we’ll get back to work. Right now this all seems like a big deal. Going public is an important milestone in our history. But here’s the thing: our mission isn’t to be a public company. Our mission is to make the world more open and connected. In the past eight years, all of you out there have built the largest community in the history of the world. You’ve done amazing things that we never would have dreamed of and I can’t wait to see what you’re all going to do going forward. Zuckerberg’s remarks about the company that first aired on Bloomberg TV could worry investors that Zuckerberg isn’t focused on building revenues to a point that justifies its $104 billion IPO valuation. With Facebook beginning trading at a valuation around 100x its trailing earnings, it will need to implement bold new revenue streams such as an offsite ad network or bigger, glossier ads to satisfy Wall Street. That Greifeld would present Zuck with a hoodie after the young visionary was criticized for his immature fashion choices may show that even NASDAQ’s CEO doesn’t take Facebook’s founder seriously as a businessman. 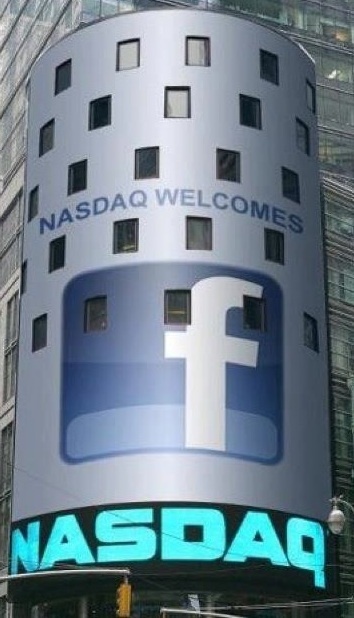 But the fact is that Mark Zuckerberg does run a public company now. He may plan to continue favoring the user experience over advertisers in the short-term to make sure Facebook has years to honor its investors. That’s probably the best strategy. It’s going to be hard to convince investors to wait around until then if he keeps making statements like these, though.